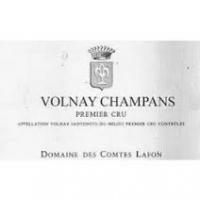 2014 Comtes Lafon Volnay 1er Champans - $129.99: Vins Rare, The finest selection of rare wines. Here a more elegant, expressive and beautifully well-layered nose is comprised by notes of pure red currant, pomegranate and floral hints. There is both good richness and fine volume to the well-detailed and delicious medium weight flavors that possess a wonderfully refined mouth feel before terminating in a firm but not austere finish that delivers excellent length on the balanced and palate coating finish. This lacy effort isn't quite as complex as the Clos des Chênes but it's even longer. Burghound 90-93 Outstanding!